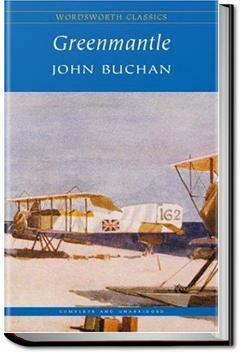 Greenmantle is the second of five Richard Hannay novels by John Buchan. It is one of two Hannay novels set during the First World War, the other being Mr Standfast; Hannay’s first and best-known adventure, The Thirty-Nine Steps, is set in the period immediately before the war started. Hannay is called in to investigate rumors of an uprising in the Muslim world, and undertakes a perilous journey through enemy territory to meet up with his friend Sandy in Constantinople. Once there, he and his friends must thwart the Germans’ plans to use religion to help them win the war, climaxing at the battle of Erzurum. Recommended for fans of Tom Clancy. An involved plot that drags spy Hannay across half of Europe and into Turkey, with one identity after another. What a splendid adventure story and more. What a strange, entertaining book!